theditchmovie.com is undergoing a major website redesign, prior to submitting the film to festivals. Please bear with us while we make the changes. Thank you. Those of you who’ve been receiving updates via our Indiegogo page will know that we’re very close to finishing this marathon project. 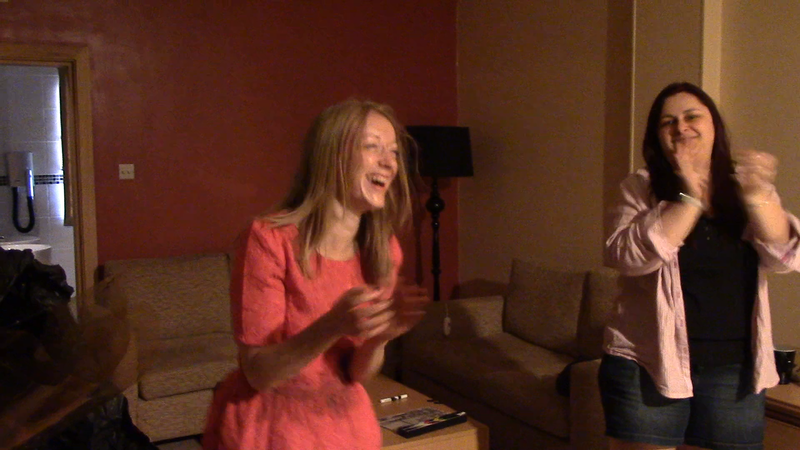 We have a final cut finished and graded, so the film is now in its final form – no more changes. There are only two tasks left to complete: mix the sound and apply a few visual effects to remove problems on some of the images (ie things in shot which shouldn’t be in shot – minor details in some cases, but stuff we’d like to deal with now so that we can relax about it). Once these are done – which should take only a few weeks, depending on people’s availability – we can finally start submitting the film to festivals! We’ve been drawing up a huge list of festivals which we think would be suitable for The Ditch: big international festivals like Cannes, Berlin, Toronto and Sundance, that everyone has heard of; less well-known but equally important festivals like Rhode Island, New Jersey, FlickerFest and Rotterdam; and, of course, home-grown British festivals like Derby, Plymouth, Aberdeen and Sunderland Shorts. Most of these festivals will turn us down, of course. 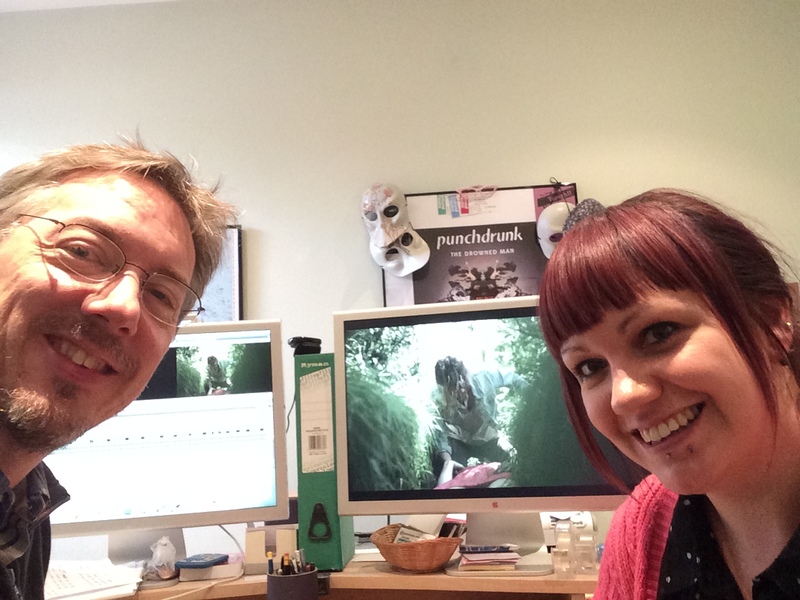 That isn’t because The Ditch isn’t a good film – we know it is! It’s because they don’t have capacity to show all the short films they like (many of these festivals concentrate on feature films, as that’s what most audiences are interested in), or because maybe this year they’re focusing on films with a slightly different angle or tone from the one we take. Even the best films don’t get to show in every festival. BUT – we’re optimistic that a film with the integrity, originality and subtlety of The Ditch can appeal to a discerning audience, the sort of people who go to (and run) film festivals. So we’ll be knocking on loads of doors in the next year or so (there are over 5,000 film festivals in the world) and it’s just a question of hoping someone with influence and prestige takes notice of us. 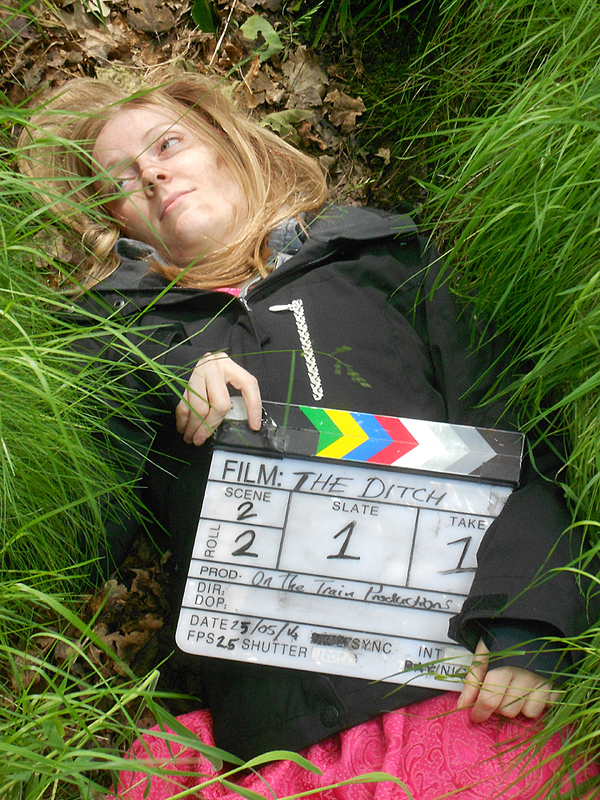 No matter what happens, The Ditch will be a film that everyone who took part in can be proud of, and you can’t really ask much more than that. Well, back in early September we were excited because we’d got a cut done. And I confidently predicted that we’d have a final cut in the space of a couple of weeks. As usual, the best-laid plans… The news so far is that we do have a cut, and we thought it was pretty close to the final edit. Then we showed this cut to some people whose opinions we trusted (and one or two whose opinions we didn’t trust, just as a control!). Although they like the film very much and are impressed with what we’ve packed into seven minutes, they made a number of observations – things which weren’t clear, things which were clear but could have been conveyed differently, or just suggestions about timing, story, performance, etc. We want the best possible film to come out at the end of this lengthy process, so we’re going to take all this excellent feedback and throw it into the next edit. Some advice will be taken, some ignored, some transformed into something else. In any work of creative endeavour, you have to keep worrying away at it – even when you think you’ve finished, it’s always worth going back one more time and interrogating it to see how it could be even better. But there’s also got to come a time when you say “stop” and decide that this is it, this is the end of the process. We think we’re nearly there. We don’t know how long it’s going to be before we reach that “stop” moment. But we do know we’re in the home straight now. Expect more news; but don’t expect us to know when that’ll be! After almost three years of creation, planning and production, we have finally shot all the material for The Ditch. It feels a bit strange writing that. Sheena and I still can’t quite believe it’s true, even though it’s exactly what should have happened and shouldn’t be anything remarkable. There have been so many times over the years that it’s seemed like an impossible task, a mountain too high to climb – too expensive, too complicated, not enough people, not enough equipment, a story too reliant on good weather, or on the audience’s ability to grasp the subtext. But all of those doubts and difficulties have just melted away. The shoot itself went remarkably smoothly, thanks to an excellent team. Every department, from cast through to camera, lighting, makeup and sound came together efficiently and co-operatively to make this shoot a pleasure. It wasn’t all plain sailing – no shoot ever is – but I was amazed at how the production just seemed to flow and things just happened the way they were meant to. I suppose this is partly good planning, but it’s also about goodwill. Everyone in the team wanted things to go well, of course, but it was remarkable how much goodwill we encountered from other people as well – the staff at the hotel were fantastic, the staff at the pub where we lunched were really friendly and even some of the horse riders passing us on Wimbledon Common gave us a friendly nod. It was like a perfect storm, only in a good sense – everything coming together in just the right way to make it all work. This isn’t the end of the road, not by any means. There’s the edit to do, the music and the sound mix, the grading and the final output to digital movie files, Blu-Ray/DVD, etc. Not to mention the festival submission paperwork and publicity material. In some ways, once the camera stops rolling that’s when the real work begins. But this is a major step forward and it’s such a wonderful thing to have got this far at last. There’ll be more news as we go along – we hope to have everything complete by the end of September. But we’ll keep you posted along the way. Last September I was sitting at my computer, right where I am now, flicking through a number of online weather forecasting sites – the BBC, the Weather Channel, the Met Office, Weather Online, Metcheck, etc, etc. and they all showed a consistent prediction – heavy rain for Saturday. It was to be the first Saturday of our shoot. 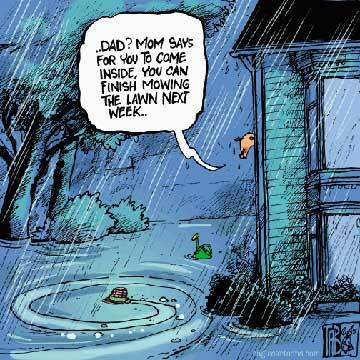 The summer had been unusually good by recent standards and of course we had all been hoping this would last. And so it did… right up to the week before the shoot. Then things went downhill suddenly, the prelude to the wettest winter on record in the UK. 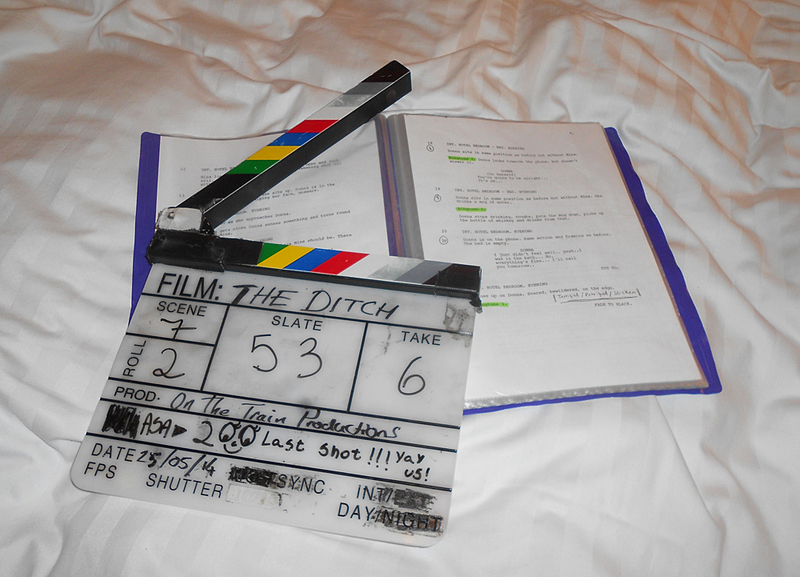 As you will know if you’ve been keeping up to date with the saga of The Ditch‘s production, we had to cancel the shoot at a couple of days’ notice. Then we went into our holes a bit, engaged in other projects or in our real lives. After a little while, Sheena worked out how the film could work if we moved the action indoors. It meant a completely different story from the one we had set out to tell; but this new story was closer in many ways to the idea we had hoped to bring across in our original script. And it meant we could set the entire thing in a hotel room – problem solved! Well, nearly. Truth is, there was just one thing missing. We hadn’t actually filmed a ditch, and the film’s title is… So we found ourselves a ditch, and it was very conveniently located, much more so than the one we had originally planned to use. It was even more ditch-like. And it’s the ditch you’ll see in the film. But of course it means at least one exterior sequence still needs to be filmed. So, once again, I’m looking at weather forecasts and seeing the same thing – a lovely spell of weather, which we’ve been enjoying this spring, brought to a sudden end by showers, cloud and thunder. The exterior shots we were hoping to get this Saturday will almost certainly have to be postponed. However, Sunday looks a lot better and we hope to catch them then. By Monday it should all be done – at last! We’ll let you know how we get on via Twitter (@onthetrainprods) and we’ll post an update to this blog as soon as possible.